Whether you live in or around Blyth or from further afield, our Church is here for you to use in times of celebration and in times of loss. 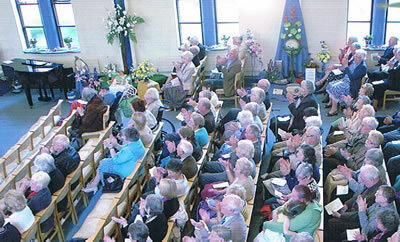 If you wish for a Christian wedding or funeral service, our Church is here to help you. Should you be interested in having yourself or your child baptized and welcomed into the Family of the Church of Jesus we look forward to seeing you. You will receive a very warm welcome.For further information do not hesitate to contact us.